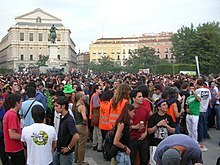 Cannabis in Spain is illegal for commercial purposes, but decriminalised for personal cultivation and use, and other purposes other than sale or trade. Using the legal grey areas in Spanish legislation, cannabis clubs are a popular way for enthusiasts to obtain and use cannabis as a technically-legal private collective. About 500 private “cannabis clubs” exist in Spain, 200 of them in Barcelona alone, and Spain is spoken of as the “new Amsterdam,” a destination for marijuana tourists. All actions related to cannabis apart from sale or trade aren’t considered criminal offenses, and normally are misdemeanors punishable by a fine. In October 2005, the autonomous government in the region of Catalonia launched a program of therapeutical use of Sativex for 600 patients of a wide set of illnesses, from multiple sclerosis to cancer, in order to avoid nauseas or to relax tense muscles. The project involves six hospitals, forty researchers and sixty drugstores. The product is presented as an atomizer to be taken orally, and it will be delivered at drugstores inside some hospitals. The full text of the research initiative can be seen here, in Catalan, from the Universitat Autònoma de Barcelona. Sale and importation of any quantity of cannabis is a criminal offence, punishable by jail time. The purchase, possession and consumption of cannabis in a public place constitutes a misdemeanour and punishable by a fine and confiscation of the product. Consumption and cultivation by adults in a private space is legal, the latter due to a legal vacuum and provided that it is shown to be for own consumption. Cannabis plants that are located somewhere visible from the street/public place (ie. from balconies) are considered a serious administrative offense, which leads to a fine from 601 to 30,000€. ^ a b Pérez-Lanzac C. (12 September 2008) El cannabis pelea por un espacio legal. El País. ^ “Inside Barcelona’s private marijuana clubs pushing to legalize it”. pri.org. Retrieved 17 May 2017. ^ Kassam, Ashifa (4 August 2014). “Barcelona’s booming cannabis clubs turn Spain into ‘Holland of the South‘“. Retrieved 17 May 2017 – via The Guardian. ^ ““El ‘boom’ de clubs de cannabis atrae el turismo del porro a Barcelona,““. La Vanguardia. January 19, 2014. ^ “Introduccio Informe < Cannabis < Web Fundació Institut Català de Farmacologia”. W3.icf.uab.es. 2 March 2005. Retrieved 2011-04-20. ^ José, Rueda (5 July 2018). “¿Cuantas plantas de maría puedo tener legalmente en España?”. I Wanna Grow. Retrieved 28 February 2018. ^ Javier González Granado. “cannabis.es – EL AUTOCULTIVO DE CANNABIS EN LA NUEVA LEY DE SEGURIDAD CIUDADANA”. cannabis.es. Retrieved 25 February 2016. ^ “Is Cannabis Legal in Spain?”. Gospain.about.com. Retrieved 2013-06-23.